Secretary of State Tom Schedler is encouraging all Louisianians eligible to vote in the Saturday, April 9, 2016 Municipal General/Special Primary Election to consider voting early. Early voting begins on Saturday, March 26 and continues through Saturday, April 2 from 8:30 a.m. to 6 p.m. daily, excluding Sunday, March 27. Voters should utilize Louisiana’s award winning smartphone app, GeauxVote Mobile, to find out where to vote, what’s on their ballot and their voting districts. Statewide, there are 40 parishes holding elections including Acadia, Ascension, Allen, Bienville, Bossier, Caddo, Calcasieu, Caldwell, Cameron, East Baton Rouge, Evangeline, Franklin, Jackson, Jefferson, Jefferson Davis, Lafayette, Lafourche, Lincoln, Livingston, Natchitoches, Orleans, Ouachita, Pointe Coupee, Rapides, Richland, Sabine, St. Bernard, St. Helena, St. James, St. John The Baptist, St. Landry, St. Martin, St. Tammany, Tangipahoa, Tensas, Vermilion, Vernon, Washington, West Baton Rouge and Winn. 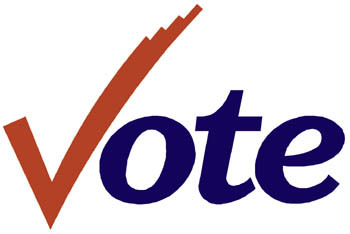 For more information about the Secretary of State’s Elections Division, visit www.GeauxVote.com or call 225.922.0900.